Calibre 89 18ct IWC watch. 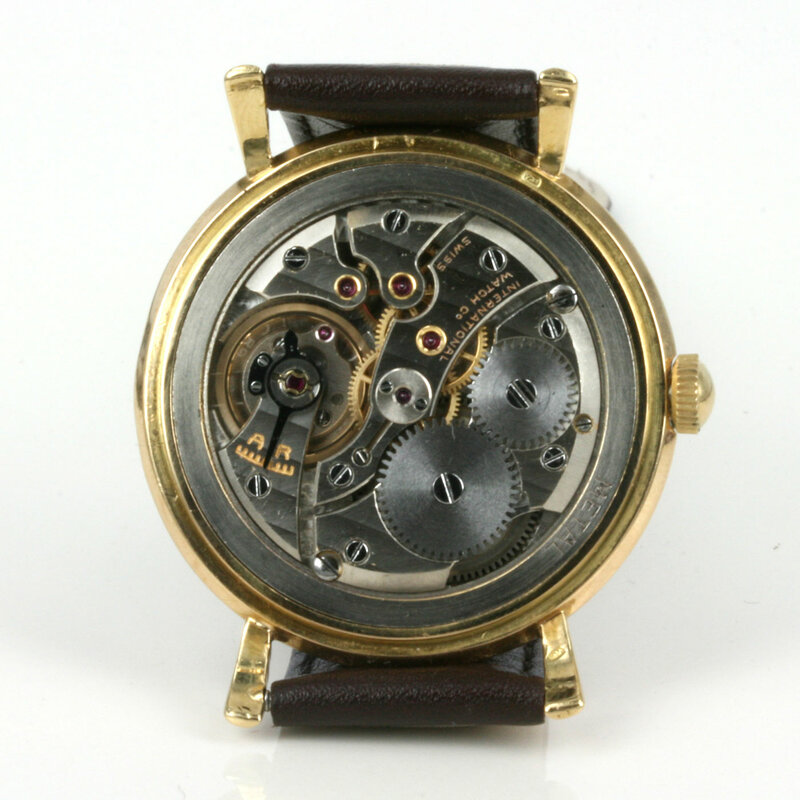 Product code: 1221 Categories: Sold Items, Sold Watches. IWC is one of the most respected watch firms today, and have always been famous for their high grade movements and very elegant and stylish round watches such as this one. 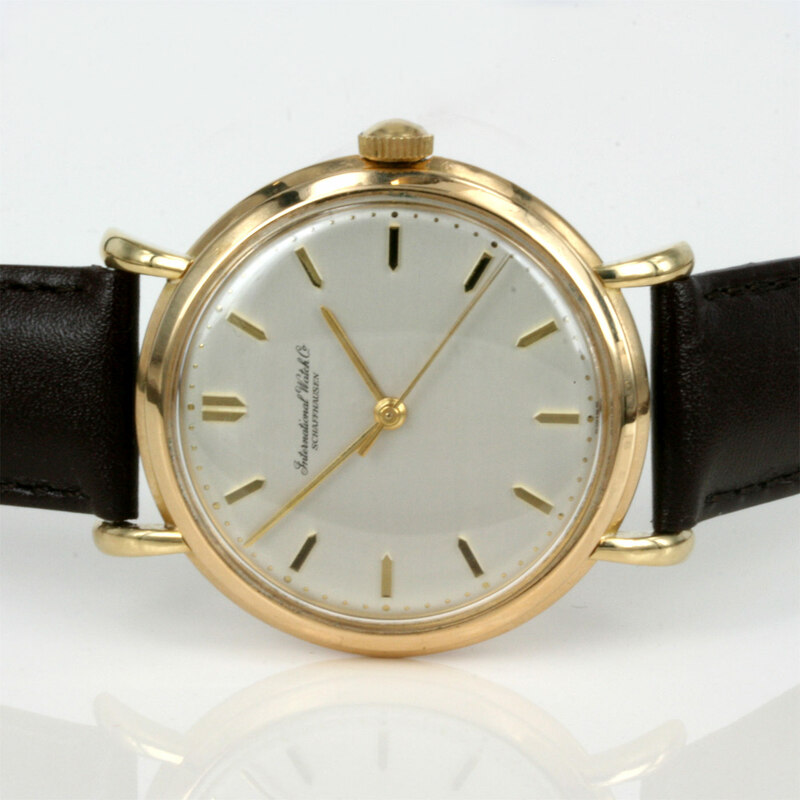 Made in the 1950’s in 18ct yellow gold, the dial is so typical of a vintage IWC watch from this era. With the centre sweep seconds and discreet writing of their name, this is a vintage watch that looks perfect with a suit day or night. 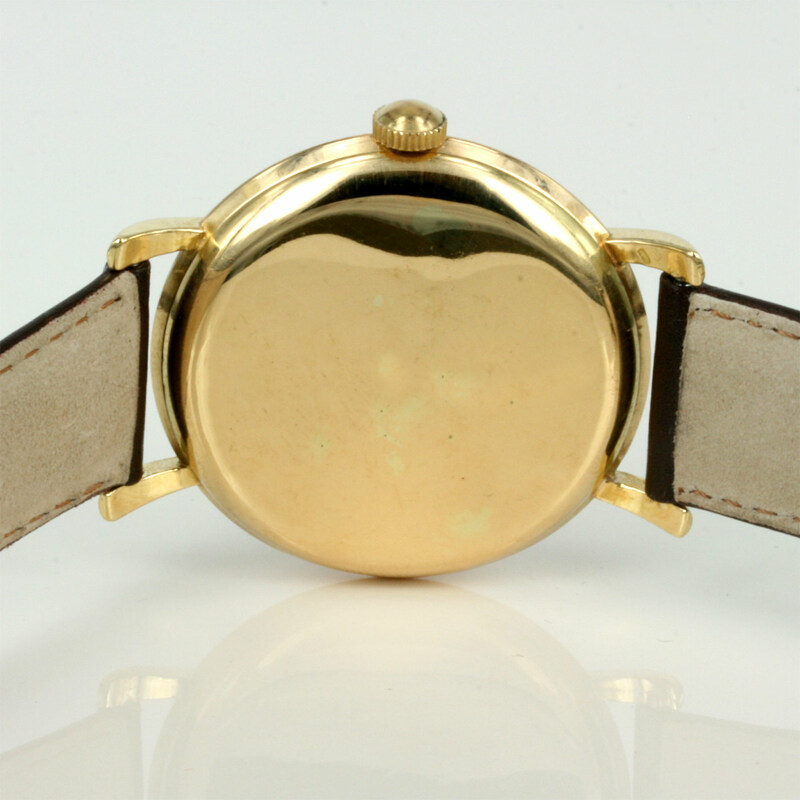 The case is very stylish with the flared lugs, and ther case measures 35mm across (plus the crown). Inside it has the manual wind IWC calibre 89 that keeps perfect time. If you are after a great vintage IWC, then consider this one.